If you’re familiar with the very tasty, Free’ist sugar free (and gluten free) products such as chocolate bars and marshmallows, then check out the new packaging, to make sure you don’t miss it on the shelves. The Northern Ireland based sugar-free food company Free’ist has invested a quarter of a million pounds into a complete rebrand and supporting growth strategy, aimed at doubling its business within the next two years. Based in Belfast, Free’ist launched its range of products in 2013 in response to the growing demand for sugar free and no added sugar snacks. 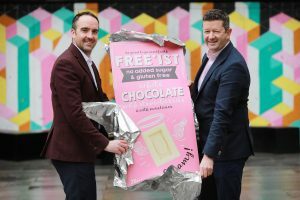 Since then, the company has expanded its range to include chocolate bars, cookies, popcorn and marshmallows – and is stocked in many of the major retailers and health food stores across Ireland and the UK. As part of the recent reinvestment, Free’ist has completely transformed its brand identity and packaging, developed innovative new product lines, launched a new e-commerce website and recruited additional sales resource to drive the business at retail level. “We have ambitious plans for Free’ist throughout 2018 and beyond,” explains Gerard McAdorey, Managing Director, Free’ist. “Since launching four years ago, the ‘free from’ market has grown significantly. Consumers are more aware of sugar content than ever and we continue to witness a rise in people seeking out sugar free snack options by way of choice, rather than other reasons such as an existing medical condition. “The demand for this type of product in a convenient format has also increased and as such we have introduced a 30g impulse chocolate bar range, which will be available within food-to-go outlets, vending machines and retail checkout points. 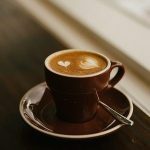 “Our aim is to provide a diverse range of products which contain no sugar or no added sugar and, most importantly, taste great. We have worked hard to achieve that and the results are paying off through a number of significant retail contracts. “With a vibrant new brand identity and a targeted sales programme in place, we believe our targets of doubling our turnover by 2020 is definitely achievable,” said Gerard. Free’ist also exports its products to international markets including Spain and the UAE. For further updates, follow Free’ist on social media: Twitter, Facebook and Instagram.